Bioelectronic medicine is the latest and greatest in medical technology for treating chronic pain. For people suffering from chronic conditions, these small, implantable devices could be life changing. These new electronic devices would be implanted via standard keyhole surgery, working by altering the messages sent by your nerves, so that you feel relief. While using electrical stimulation to treat pain isn’t a new concept, bioelectronics takes simple simulation a step further. Bioelectronics can target electrical signals between the brain and all organs that contribute to chronic conditions by utilizing the peripheral nervous system, which includes all of the nerves outside the brain and spinal cord. 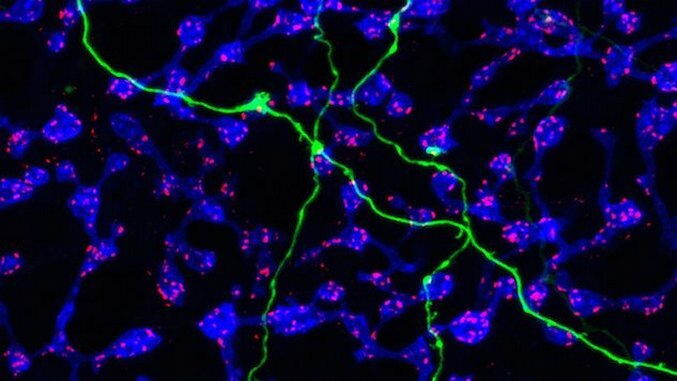 Since chronic conditions skew the signals that travel around nerves, the devices’ ability to change signals could help restore organs to normal functionality. The implants themselves are tiny and battery powered, and they have the ability to both block and boost nerve signals as needed to treat pain. While research and testing of bioelectronics are ongoing, scientists hope to introduce bioelectronic medicine to patients within the next ten years. The aim of this new technology will vary from patient to patient. In some cases, the device will be able to restore the nervous system to full health, and in other cases, it will work to consistently and reliably balance the nervous system over time. The science behind the new implant is truly revolutionary, and the impact the device will have on the day-to-day life for people with chronic pain will be incredible. Hopefully, during the next decade, millions of people will be able to break free from chronic pain and the side-effects daily medication.